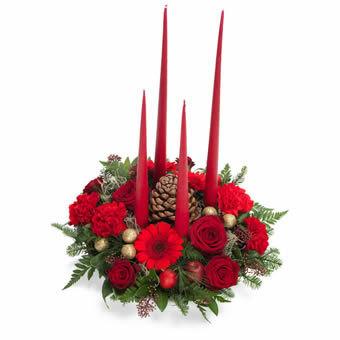 Christmas arrangment with 4 tall red candles in a round metal container. This is a seasonal product. Currently not available for purchase. 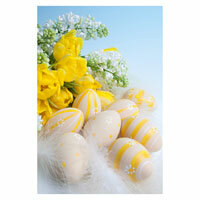 Make your flower gift even more festive with an exclusive Easter card. 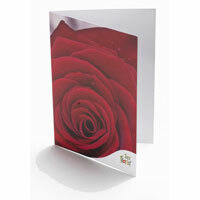 The card presented there is just an example of how your Easter greeting card may look like.